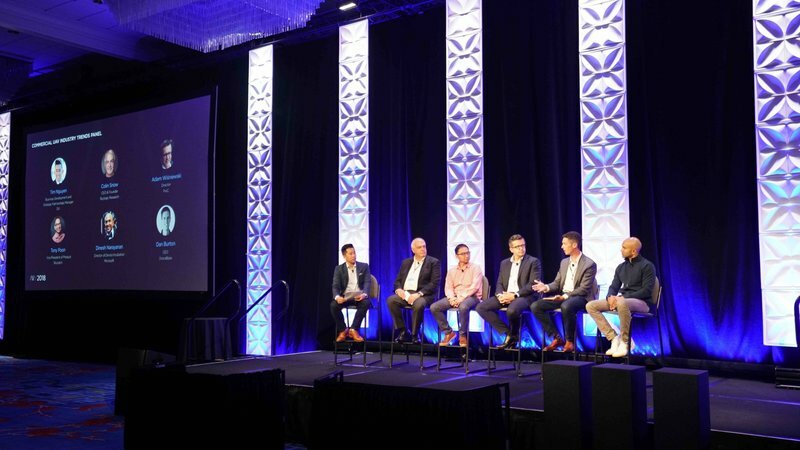 October 30, 2018 – DJI, the world’s leader in civilian drones and aerial imaging technology, today opened the doors to its third annual AirWorks enterprise drone conference by showcasing new hardware, software and strategic partnerships, expanding the global DJI ecosystem to help more enterprises embrace the benefits of aerial productivity. 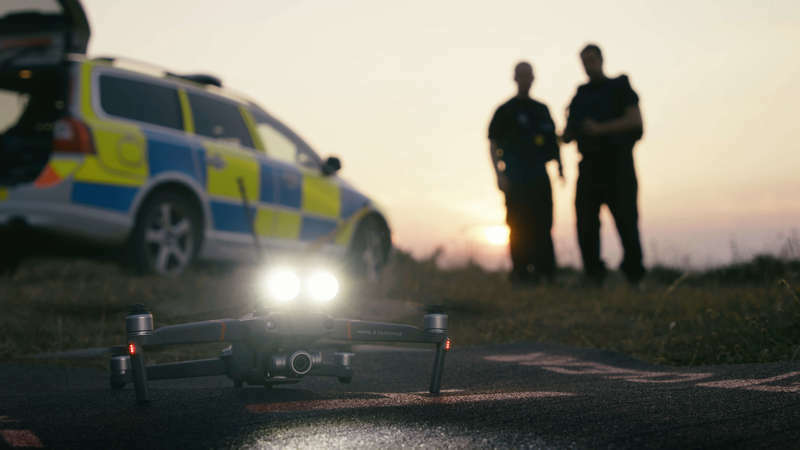 · DJI showcased the Mavic 2 Enterprise, its latest and most portable commercial drone which features zoom imaging, modular accessories and heightened security features for professionals ready to put drones to work. 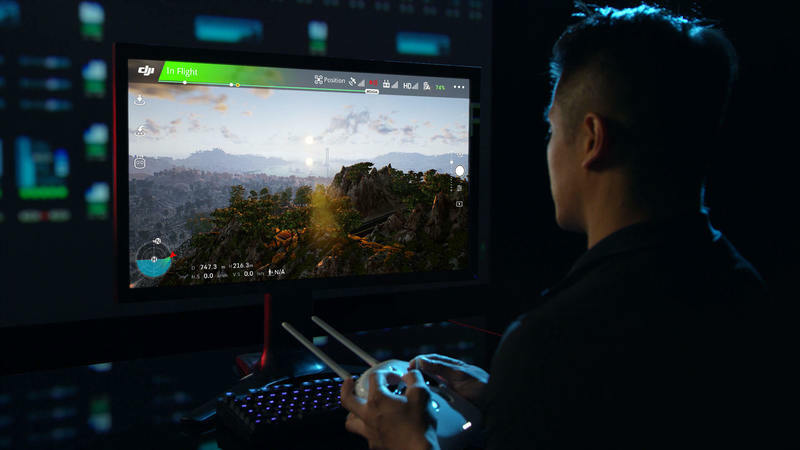 · DJI unveiled a realistic new DJI Flight Simulator which helps equip new drone pilots with skills for a new era of work. DJI also launched the official version of DJI Pilot, its flight control app designed for professional use, and introduced upgrades to its Ground Station Pro (GS Pro) software which helps enterprises manage drone fleets. · Industry leaders demonstrated their use of DJI platforms for deep aerial functionality in their work, such as inspecting railroad bridges with Union Pacific and AutoModality, jetliners with American Airlines, and power lines with Southern Company; and Microsoft’s Windows Software Development Kit (SDK), which enables a wide world of custom drone applications and payloads to be controlled by computers running Windows 10. · The 12-megapixel camera has 2x optical and 3x digital zoom capability, allowing precise monitoring of dangerous, distant or difficult scenarios. · AirSense technology automatically alerts drone pilots of ADS-B signals from nearby airplanes and helicopters, providing an extra level of safety in congested airspace or complicated operations. · Data security for sensitive flight missions is built in, with password protection for onboard data storage, GPS timestamps for every recorded image, and Local Data Mode integration to stop all internet data transfer. Microsoft is developing ways to integrate its Azure IoT, edge computing and AI cloud services and developer tools with DJI drones, to enable a broad range of high-value commercial IoT scenarios. Today, Microsoft is announcing the public preview of the DJI Windows SDK. With the SDK, drone solutions developers to quickly create edge computing architectures via Windows apps, integrate and control third-party payloads, and bring real-time AI and machine learning capabilities to imagery from DJI drones – exponentially increasing the way drones can be used and scaled in the enterprise.